You probably know the German BMW tuning firm AC Schnitzer for building complete vehicles, or perhaps for its exhausts. The company even built a 424-horsepower diesel Z4 at one point, which is weird, cool, and good. But you may not know the company for its series of low-production lightweight wheels. 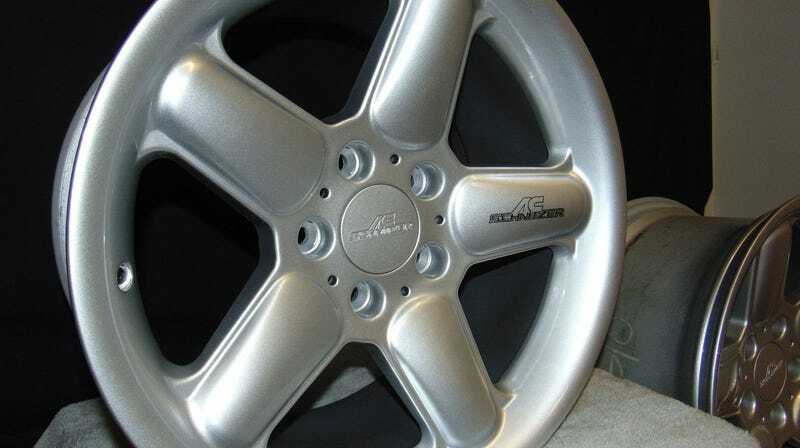 They have made some great products, and my favorite of them is the concave Type II wheel. In my opinion, this simple five spoke design is the epitome of 1990s BMW style, and should be fitted to every E36 and E46 3-series, E34 and E39 5-series, E38 7-series, and E31 8-series out there. The Germans really know how to produce a stylish wheel. Take a simple design, add a tiny bit of flare to create a swollen looking spoke, and fit them to everything BMW makes. The Type 2 wheel was available in a number of sizes and offsets, though they mostly seem to be available in 17" sizes, which makes sense considering the cars they’re intended for. Even into the late 1990s, a 17" wheel was larger than standard in many cases, and really filled out the wheel arches. An 850 CSi with a set of these in 18" sizes would be the absolute boss move. This particular set, which is expertly laid out and photographed, is a 17" set, 8.5" wide at all four corners, and if you have a BMW in need of new shoes, they are available on eBay right now. Just absolutely lovely. While this set was produced by Ronal, other Schnitzer wheels currently on eBay were made by O.Z. in the same time period. AC Schnitzer, then, apparently did not care who made them, so long as they were of a certain quality.